Re-discover the car you purchased. Rely on us for professional auto detailing services. Keep your plane looking like new. Turn to us for plane detailing services in Baltimore, MD. Take care of your investment. Get your boat detailed by Behind The Rim Auto Detailing, L.L.C. Make sure your vehicles are always in pristine condition. We'll come to your dealership and mobile detail all of your vehicles. 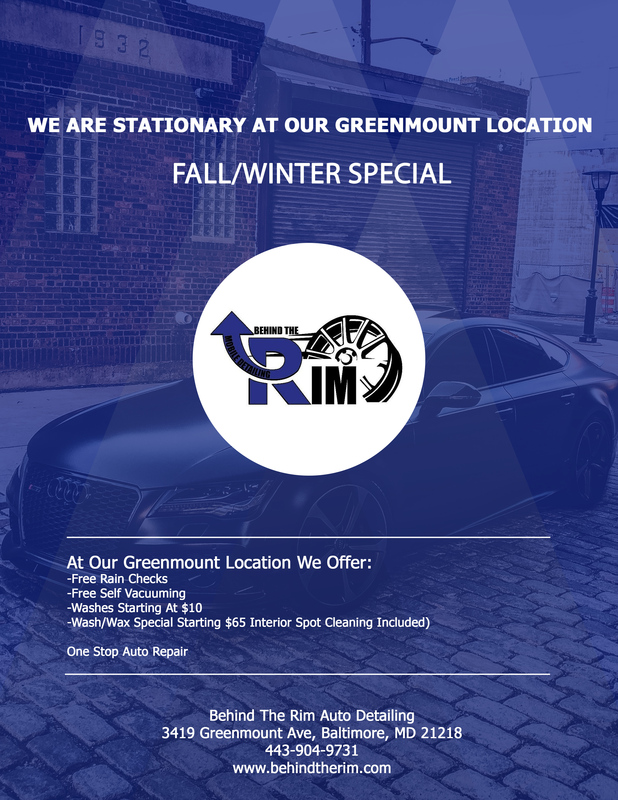 At this Greenmount location: Free Rain Checks and Free Self Vacuuming, washes starting at $10, Full Detail Special starting $65 and interior spot cleaning included. Whenever you depend on our team, we think you'll find that we're courteous and detail-oriented. We have ample experience, and we do our best to accommodate our customers' appointment requests. We're fully licensed and insured, and we strive to operate with integrity. We work hard to ensure prompt project completions and customized service, and you can rest assured that we'll treat your vehicle as if it's our own. The next time you're searching for expert car detailing, don't hesitate to call or visit Behind The Rim Auto Detailing at your convenience. 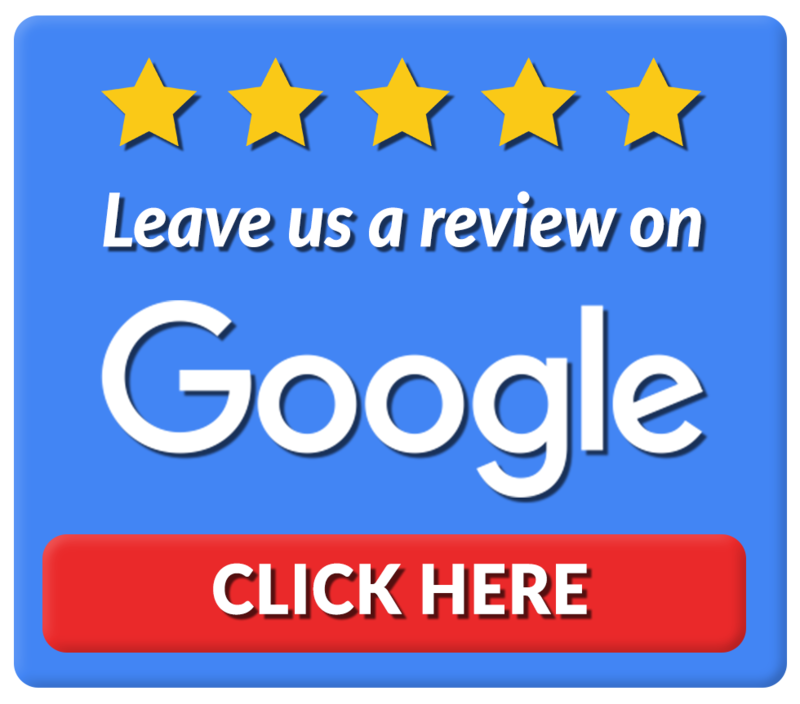 We regularly assist customers in Baltimore, Harford County, and the nearby areas, and you can count on us for a job well-done. We will also travel to you. Contact us for more information. MILITARY, MEDICAL, AND POLICE DISCOUNTS | $10 OFF! Interior: Involves a deep cleaning of the whole inside cabin. Vacuuming and steam cleaning the upholstery and floors to deep clean and remove any stains and dirt left inside the vehicle. We'll also clean and wipe down the dashboard, side walls, and windows to bring your car back to life in Baltimore, MD. Exterior: This involves cleaning the outside surface of your vehicle to a level that looks like you just purchased it from our lot. Everything from the body to the trim, windows, wheels and tires. Comes with washing, waxing and polishing all the exterior extremities to put the sparkle back to the exterior of your vehicle. Behind The Rim Auto Detailing has been serving the tri-state area of Maryland for four years. Our owner learned how to properly detail vehicles in a professional training facility. Now he's able to offer mobile detailing services to clients in and around Baltimore, MD. Count on us to stay up-to-date on the latest detailing techniques. Call today to make an appointment. Has the appearance of your vehicle started to fade? Restore your vehicle to like-new condition when you choose Behind The Rim Auto Detailing, L.L.C. for detailing services in Baltimore, MD. We understand you may not have time to take care of your vehicles the way you want to. That's why you can count on us to do it for you. Just looking to get the vehicle clean? We offer maintenance for previously detailed vehicles, as well as regular maintenance and express treatments that are light on the wallet and not as time-consuming as thorough detailing processes, while still offering outstanding service and long-lasting automobile and boat protection. The cleanliness of your vehicle's interior is just as important as maintaining the exterior. A clean interior adds comfort to your driving experience. Regular vacuuming and dusting the interior if your vehicle will help it look good but don't stop there. An interior detail should be performed regularly in order to keep the upholstery looking its best. Ty, from Behind The Rim has been detailing my car for sometime now. EVERY time he details my car he brings it back to showroom new. Ty takes my car back to the day I initially picked it up on Dec. 20, 2016 (my delivery date). He puts a SHINE on my car that is unimaginable. You will NOT be disappointed, believe me. I recommend the wax and wash service. It's a service that puts an envy from your neighbor's and on passing cars. You will find yourself being asked, "How did you get the shine on your car?" Ask Ty for his business cards, it will save you time from saying hit up Ty from Behind The Rim. Just pass them his business card, it'll save you from all the explanation. I'm blessed to have met Ty McNair, who not only does the work, but stands behind his business and his craft. Make an appointment, again you will not be dissatisfied. Trust. Ty puts a lot of effort into your vehicle. He did my cruze the other day and she looks brand new. Very meticulous approach to taking care of your ride. Professional and courteous, traveled and detailed my family sedan in our driveway while we chilled on our couch. Would recommend to anybody looking to keep their vehicle looking sharp. Best Detailer around. Always takes care of me and my friends family and colleagues. Ty did an outstanding job on my car. Made the paint look better than it has in years. Copyright © 2019 Behind The Rim Auto Detailing, L.L.C., all rights reserved.